Guestographic - What Is It & How to Get Backlinks with Guestographics? Now, if you’re reading this you’re probably vaguely aware of what a guestographic is. Maybe you’ve read a definition and you’re trying to learn more about them. If so, you’re in luck! I’m going to break down what makes an image a guestographic and give you the step-by-step method that I have personally adopted myself. Hey there! This is Tyler, the founder of Ministry Designs, a church website building tool that has been growing by leaps and bounds, thanks in part to some trusty new techniques I’ve learned as a student of the SEO guru Brian Dean. A while back I took Brian’s SEO That Works course and since then I’ve gone on to apply many of the crucial lessons I learned to my own site. But there’s one method in particular that has always stood out to me as one of our favorite ways to get good backlinks – the guestographic. At the end of the day, this is simply another way to get authority backlinks. What do I mean by “authority?” I mean links that connect you to well-established websites and consequently do wonders for your Google rankings. While this formula works well for a host of different strategies for how to get backlinks, the guestographic method has one thing, in particular, going for it: When it’s done well, it has a MUCH higher conversion rate. In other words, many more people are likely to listen to your pitch when an infographic is involved. O.K., at this point you’re probably thinking, “Hang on a second, we’ve been talking about guestographics all this time. Why did you just shift over to infographics?” The answer is simple: The “content” part of a guestographic is primarily just a good infographic! That’s right. If you’re already familiar with the concept of an infographic, you’re about 75% of the way to using guestographics. For those of you who might not know (or need a refresher) an infographic is a graphic that contains …you guessed it, information! This is one of my absolute FAVORITE ways to get traffic on my site. Why? Because it is an incredibly effective way to both provide crucial pieces of information in a supremely digestible format …and get traffic at the same time. To that first point, did you know that 65% of humans are visual learners? So, while reading something important might eventually sink in, taking that very same piece of information and making it into a gloriously visual piece of killer content takes it to a whole new level. It makes it interesting and also attractive to share. If you read something profound and share an article, anyone who has the time to sit down and read it as well may totally agree with you! However, if you read an infographic that you love and share it, it only takes a few seconds for everyone to read the bulletized and condensed info and react with their thoughts. This kind of strategy, using infographics in general, can literally increase your organic traffic exponentially, and when it’s done in the form of guestographics, that increase can be off the charts! So, What Is a Guestographic, Then? Once you’ve got infographics on your site, the typical way to get them to work for you is to go around sharing your content and using email infographic outreach to try to get others to share it for you. But asking someone to go out of their way in order to come to your site, take a look, decide if they like it, and then take the trouble to share your content is risky business. A lot of sharing outreach usually ends up with a pretty poor rate of return. Very few people end up biting (even though those that do still make those other avenues of outreach valuable). What makes the guestographic so powerful is that instead of trying to get others to share your content, you offer for them to make it part of their own content! Not only that, but you throw in a little extra bonus content that really pushes the whole deal over the top for most people. Basically, a guestographic is a magical combination of an infographic and guest blogging, bringing many of the top benefits of each together in one happy place. So, to summarize, a guestographic is basically an infographic that you are offering to others to use as part of their own content, along with some bonus material to boot. Now that we know what a guestographic is, I’ll take you step-by-step through the process of how to create and use a guestographic for maximum effectiveness. The first step in the process is creating a good infographic. Now, you may already have this down pat and can jump ahead. But for those of you who still struggle with how to create infographics or are entirely new to the concept, I just want to give a few pointers regarding how to make actually GOOD infographics. This is a very important starting point, and if done incorrectly, it can ruin the whole process. Trust me, if you want to bake a delicious cake, don’t use bad ingredients. You don’t want to shoot yourself in the foot before you even start! When it comes to creating quality, high-performing infographics, a huge part of the success factor is what information you choose to put on them. Sure, making it look attractive is important (and we’ll talk more about that in a second), but really, if the facts aren’t good, no one’s going to want to share it. Is the info currently relevant? Is it a reasonable quantity of information? Can you get it done professionally? Does it have your brand and website? Let’s quickly break each of these down. The first question is a crucial factor here. If you make a killer infographic about how Facebook grew into a giant social media empire — something that blew up the internet …years ago — chances are you’re not going to get much traction. Everyone knows that information already. It’s old news. And one of the most frustrating things about the fickle internet world is that whatever is currently the “hot topic” can change quicker than you can change your jacket. So, before you make an infographic, make sure to research what’s trending in your area of expertise and tailor the infographic to what people are talking about. The next one, the quantity of information, is also important. Typically you’re not going to cram an entire article on to an infographic (although sometimes that can be the perfect solution, as you can see with this infographic on Neil Patel’s backlink strategies article that summarizes ALL of the content). You’re going to want to consider exactly what you’re going to include. Make sure that everything you choose to put on there has a purpose and supports the actual topic of the infographic! The next part is simple. Now, sometimes you just can’t afford to pay professionals for everything, but if you can hire someone who knows their stuff in order to make your infographic, chances are it’s going to perform better. Sites like Fiver and Upwork are great ways to find a huge assortment of freelancers who can create the graphic for you without even needing to hire someone onto your staff. If hiring a professional graphic artist is out of your budget, freelance or not, (even on the cheap end it can cost a few hundred dollars apiece when done correctly) you can always do some research and use a tool like Canva to start creating your own. Just remember to keep things like your topic, audience, and focus in mind. Here’s a great article by Neil Patel with a list of 12 different things that can help create some killer infographics. Finally, make sure to stamp your infographic with your company logo, website, or whatever makes you stand out. It doesn’t have to dominate the image, just make sure it’s tucked in there somewhere. I typically try to make it just big enough to stand out without being a distraction. After all, you want people to share this, so it can’t look like a billboard for your company. Alright. At this point, you’ve got your high-quality infographic covering a trending topic. But now, what do you do with it? How Do You Get It Posted on other Sites? Here are the basic steps that Brian Dean (and I, myself!) like to use to promote infographics as guestographics, all of which is done to help figure out how to get backlinks for your site. This is the obvious first step. After all, no matter how incredible your infographic is, it isn’t going to do anyone (least of all you) any good if it’s just sitting in a folder on your desktop. You want to get the infographic live on your site. Once it’s created, find a relevant spot on your site to publish it. There you go, the first step is done! Here’s where the “guest” part of the guestographic starts to come into play. The next step in the process is finding sites that relate to your infographic. Please understand, this is an absolutely CRUCIAL step! If you created an infographic on how organic coffee is grown, you don’t just want to go look up a site promoting Folgers. You want to find the Third Wave, artisan coffee sites that have posts that talk about the life cycle of a coffee plant, where the beans come from, what organic means, and so on. The sites you find here are going to make or break your outreach efforts, so don’t slack. Make sure to look for quality sites with relatable information. You can do this by simply Googling sites that relate to your infographic in particular. Just remember, you’re not looking for other sites that simply match up with your own site’s philosophy. They need to relate to your specific infographic and use the right keywords to help it rank. If you’re stumped about what to Google, type in your keyword for the infographic (we’ll say it’s “organic coffee” from our above example) and see what comes up. If you need to search further, one nifty trick I like to use is to simply scroll down to the bottom of the search and see what other related searches Google suggests. You can also use an LSI keyword generator to help get an idea of other search terms that might get you the quality results you’re looking for. Now we’ve gotten to the official infographic outreach part of the process, the part where you come face to face (or more accurately, email to email) with your prospective linkreators — that is those who own sites that could give you a quality backlink! Now, when you format an infographic outreach email for a prospect, there are a few things that I’ve found to be helpful to keep in mind to give you the best chance of a positive response possible. This first one is important to watch out for. After all, you’re probably going to be tempted to sell this thing, hard. But really, with a guestographic, so much of the work has already been done at this point, that all you really need to do is let it make the pitch for you. Instead of explaining why your infographic is so incredible, tantalize them by briefly explaining what you have and then asking if they want to see it. Chances are you’ll get a positive response pretty quickly. It is ALWAYS a good idea to include something about their site that shows that you’re up to date and aware of their content. Don’t just try to bluff your way through with a thinly veiled comment about how “their content is great” or some generic statement that’s true for everyone in the niche. 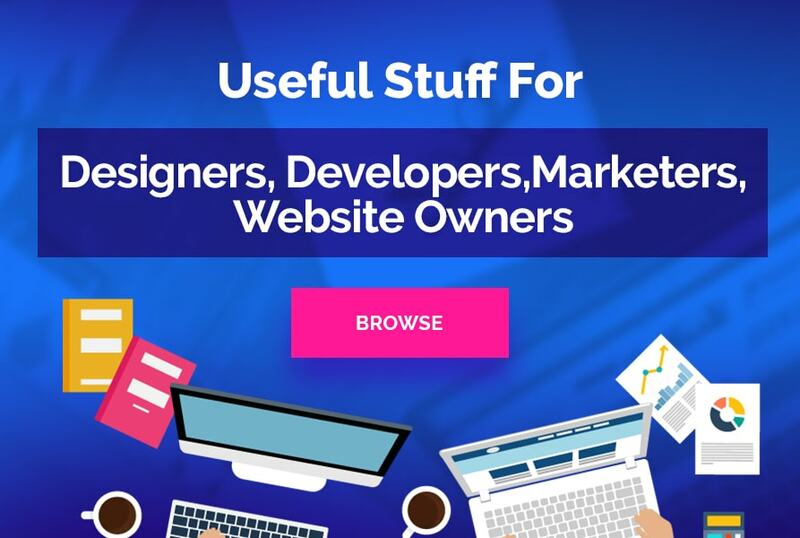 Read up on their site enough to come up with some quality comments that indicate that you actually BOTH understand what they’re doing with their site AND that you think your infographic is a good option to complement their content. Before you roll your eyes at the thought of that extra research, though, remember, some of this work should already be done by the time you get to this point. You already needed to look over their sites in order to research a bit to even know if they’re a candidate to reach out to, right? I suggest taking some quick notes as you check out their blog so that when you come back around to reaching out you have some quick points to remember what to talk about. Yes, I’m going to step into the role of that frustrating instructor that tells you a bunch of things to include on the assignment …and then tells you to keep it short. But trust me, this is all part of the recipe for success with this stuff! The truth is, “filler content” should be your enemy at all times online, and this is just as true here as anywhere else. Keep things short, simple, and focused in your email. Drop some info about their site, throw out the suggestion that you have a good infographic that would be a killer addition to their content if they want to see it, and then leave it at that! First of all, this really is one of the best SEO methods out there right now. It’s literally one of Brian Dean’s all-time favorite strategies! However, that doesn’t mean you’re not going to have a ton of people turn you down …or just plain ignore you. After all, anyone with quality backlinks to offer is likely to be approached by a TON of email requests just like yours. All you need to do, my friends, is don your rejection armor, put your head down, and muscle through the disappointment. If you can keep on moving forward, you should eventually start seeing a return for all of that hard work! Another really helpful tip is to keep track of everyone you’re reaching out to in a spreadsheet (or whatever your preferred method of organization is). Why do this? Because when you start getting responses, it can be really helpful to have a master list of information to go to where you can quickly reference what name, site, post, site philosophy, or whatever else you feel is important is associated with a particular email you might have gotten a positive response from. Once you start getting positive responses it’s time to send the infographic. When you do, that is when you can suggest (still casually!) that if they want to post it on their site, they’re welcome to …and you’ll even write a little text blurb, a “mini guest post” of sorts, to go along with it. When you do this you’re offering them a free infographic …and a bonus of free personalized content! All this consists of is a brief yet unique angle on the content that is tailored to the particular site. All you need to do at this point (assuming they agree to your “bribe”) is write up a quick intro blurb for the infographic that will fit nicely into the blog the infographic will reside in. Make sure the text consists of applicable, unique content that is both quality (remember, this is a guest post. Make sure it looks good!) and SHORT! We’re talking just a few hundred words. Not a skyscraper post! Extra Note: As you may already be aware, the typical way to write good, quality content online involves using well placed bold and italic words and keeping paragraphs short, no more than three sentences! INCLUDE A LINK TO YOUR SITE! Just one link (don’t overreach here). This one little tag-along action can do wonders for your site, but I’ll explain that in the next section. Finally, send the text out with a nice note and you’re good to go! If you’re one of that 65% of visual learners, you can see Brian Dean’s video that runs through most of these steps (though they’re presented slightly differently) here. Extra Note: Another way you can create guestographics is to literally reach out to other blogs in your niche and offer to design infographics for them for past or future blog posts. 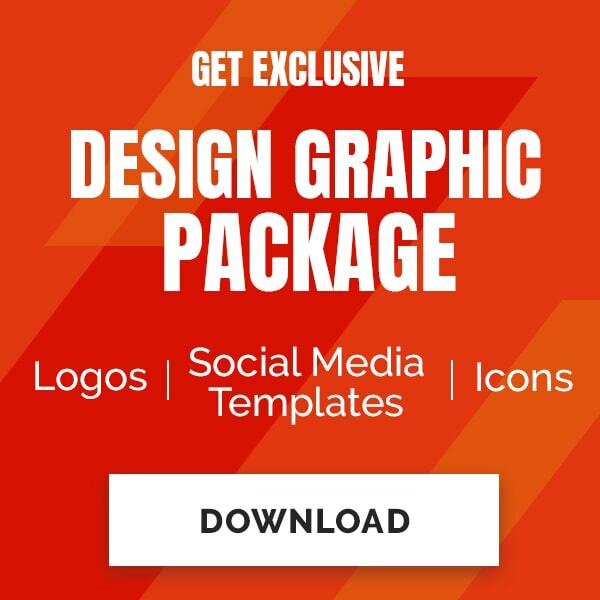 Of course, they would have your logo, email, and link attached still, but keep in mind that this method can be quite a bit more time consuming since you would not be able to reuse the graphic as easily if it’s so specifically tailored to one site. Alright, what did you just accomplish? Believe it or not, most of all of this work boils down to that one link. That one link is gold. Sure, the infographic can go viral or at least be shared a lot (again, make sure it’s got your website on it! ), which is the other obvious benefit, but there’s another, subtler, potentially MUCH more powerful benefit to this whole thing: improving your Google Rankings. That contextual link is the vital piece of the puzzle here. Rather than a quick “credit link” under the infographic, a link that is embedded into a sentence within your mini guest post, right there amongst the content, is going to rank MUCH better with Google, when it sees that it’s within the content of the page. Now, this might sound like a lot of work for a single link, but, honestly, that’s the nature of how to get backlinks. And, in this case, your chances of success are WAY more likely when you offer them something as juicy as a good infographic that will dramatically improve their own content as well, rather than simply offering them a quick hyperlink to your own article to pop into an existing article they might have. And there you have it, the guestographic. Ladies and gents, this really is one of the absolute BEST ways to get excellent backlinks for your site. So much of the process is in your hands, and yet it remains an awesome, above board white hat SEO method that yields legitimate backlinks for your site while simultaneously increasing the quantity of quality content on the internet with your infographic. It just might be that one little tool that launches your site into the limelight. Tyler is the founder of Ministry Designs, a great media resource for churches of all sizes. He helps thousands of churches design stunning and functional websites and constantly shares helpful articles related to SEO, web development and niche marketing.